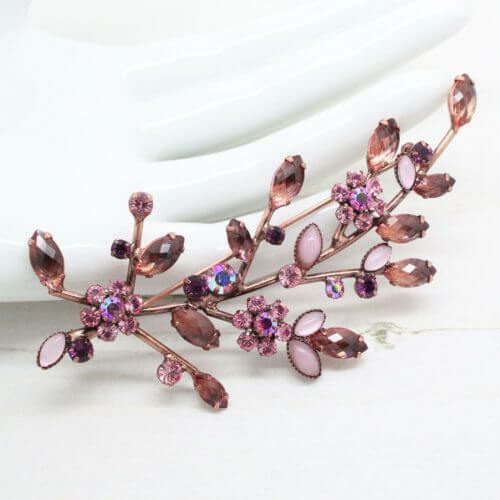 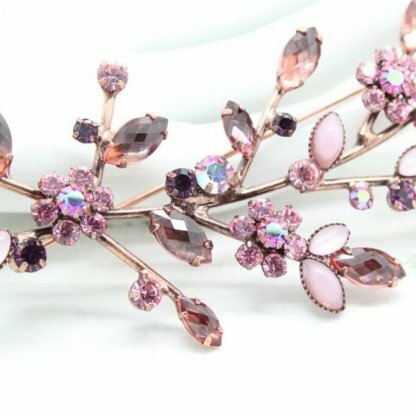 Description: This statement brooch by Joan Rivers features an array of pink, mauve and plum claw set rhinestones and cabochons in a copper tone setting. 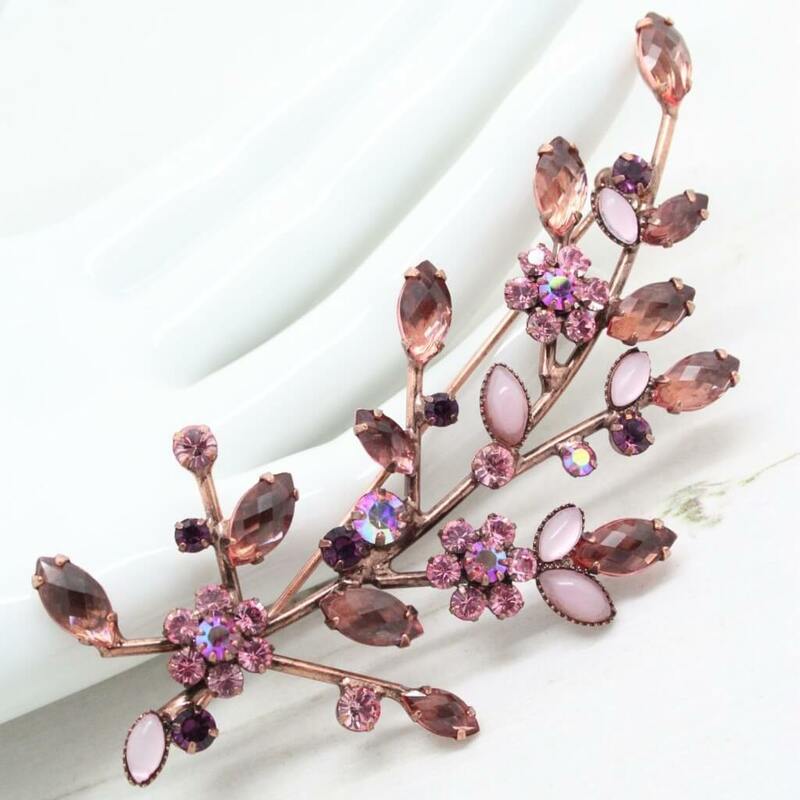 The brooch is fully signed to the back with a working roll lock clasp. 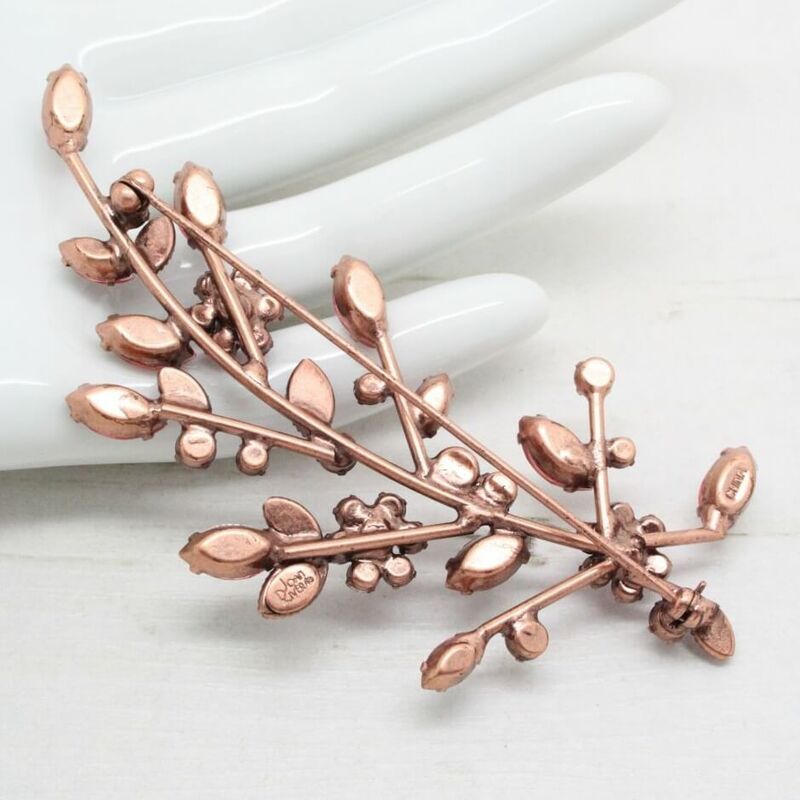 Measuring 9cm at longest point, this statement brooch is ideal to wear at any occasion. 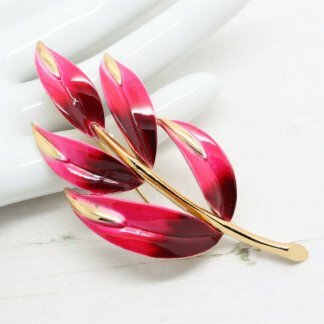 Dress it up or down, the versatile design will work well with many outfits. 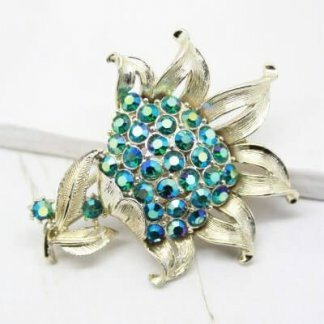 The brooch is in good condition showing slight to no wear and appears unworn, all stones original and complete. Joan Rivers was renowned for her impeccable sense of style which is reflected into each beautiful piece of jewellery which is helped to design and create.